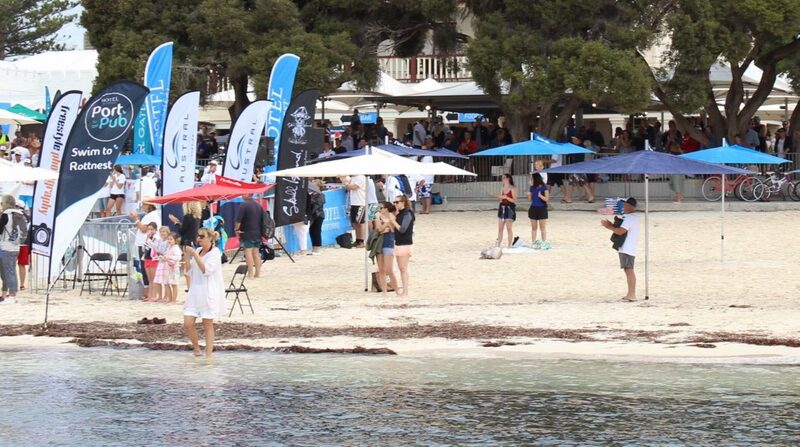 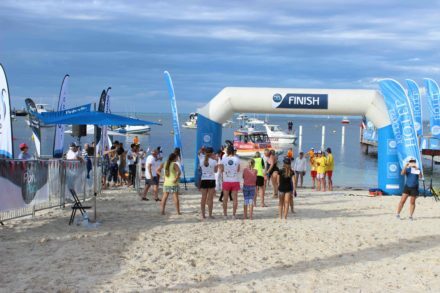 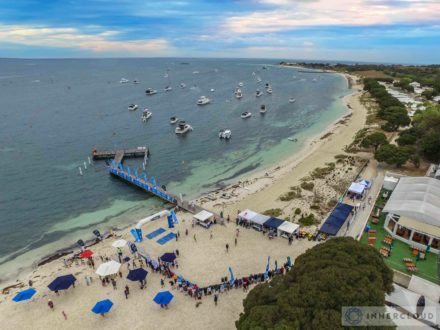 Finbrella supports Inaugural Port to Pub open water swimming event, an impressive 20 or 25 km course. 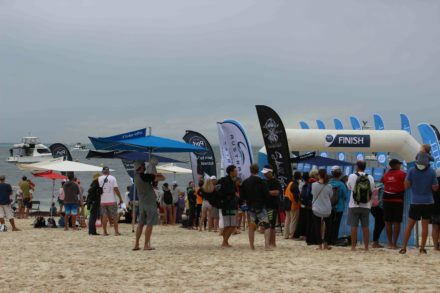 15 Finbrellas of all sizes and canopy colours were provided (on ground spikes) for the finishing line and spectator area. 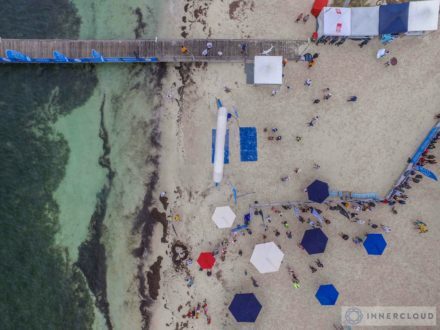 Drone images thanks to INNERCLOUD and beach shots by Finbrella. 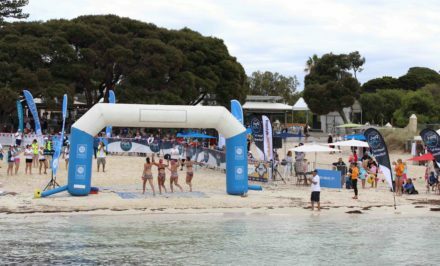 The final swimmer crosses the line. 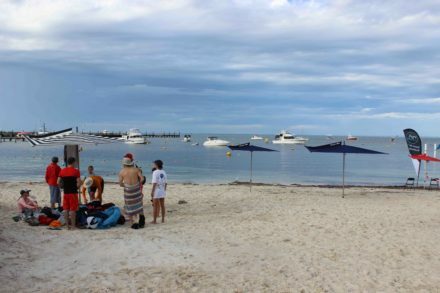 A sensational effort at 83 years young!